Things are not running smoothly in the team. An offer to a prospective customer has not been sent out, because Colleague A was sure that Colleague B had already done that. Colleague C has dedicated many hours of work to editing a PowerPoint presentation, until Colleague D is telling her that she is working on an old version and in the meantime, important data have changed. Good team collaboration evolves when everybody knows what to do and when. But responsibility is often confused with competence. Project or team managers are responsible for ensuring that results are delivered on time and in budget with the required quality. That’s why they want to check on a regular basis whether everything is the way it’s supposed to be. But that does not mean that they have to carry out the tasks themselves. There are usually other team members who are in charge of this. The important thing is that these roles have to be assigned without ambiguity and each team member knows the tasks that he or she is in charge of. It is clear that in every team, there are stressful times when team members are fully occupied. But if this case is more often the rule than the exception, it might result in increasing dissatisfaction and a lack of motivation among the team members. Then, it’s about time for the team manager to get an overview of the team’s work load and to reallocate work packages, if necessary. Work that is based on outdated information and documents is a main factor in teams’ failure. That’s why it is so important to keep colleagues updated. A shared document management helps to store all documents in one place. So, team members can avoid several versions of one document at the same time. It is highly recommended to save documents in a project-related folder and to mark them with a tag showing their status. Milestones with a fixed due date enable teams to structure their day-to-day work. If they are reached on time, it’s a good indicator for the fact that everything is moving smoothly. If not, they are an important early-warning system that shows that something is going wrong. With this method, the team focuses on results that should be achieved. Team performance is a lot better when everyone knows what the colleagues are currently busy with. Good team communication, however, does not mean e-mail ping pong or meetings for days on end. 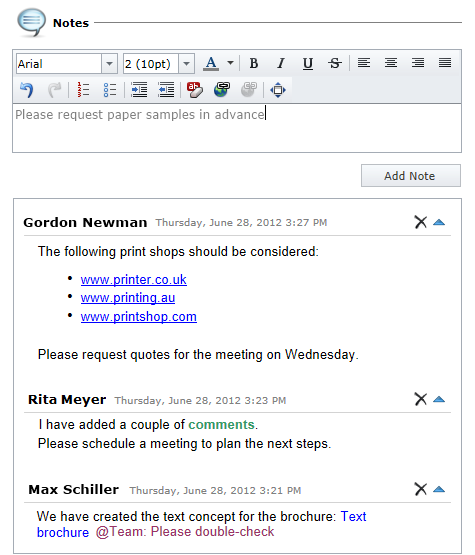 Teams can use modern tools to stay updated. Often, it is sufficient to leave a note on a project that has been edited. 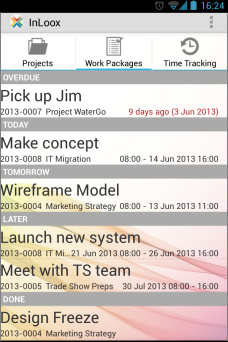 Project management software makes it possible to inform colleagues automatically when a work package has been completed. The project plan is also automatically updated. That saves time when it comes to routine communication which is then available for more demanding tasks. Short daily status meetings help teams to inform their members about the current project status and are a good indicator for the current team spirit. By the way: Mobile teams in particular benefit from keeping all team members updated and not letting them miss out on important information. InLoox Mobile App for iPhone helps them to keep everyone informed. The tutorial video on the smartphone app is now available online. What do productive teams do differently? - InLoox • Copyright 1999-2019 © InLoox, Inc. All rights reserved.